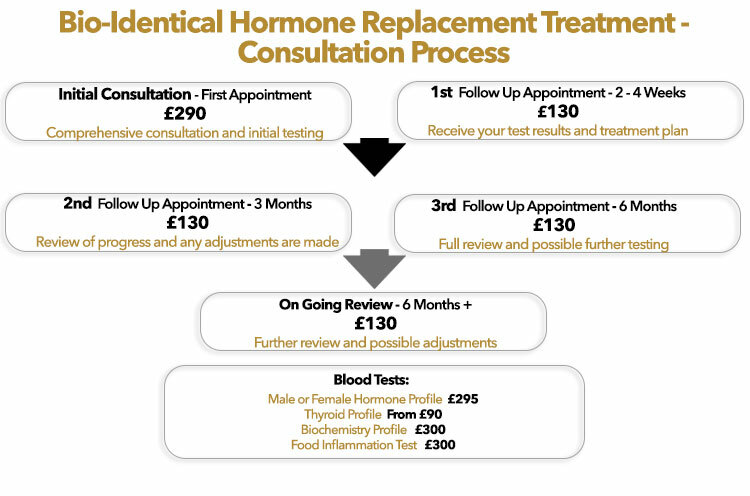 From the prestigious Marion Gluck Clinic in London our Bio-Identical Hormone Replacement Doctor is a leading consultant with many years of experience working with men and women to provide a bespoke, natural treatment plan to resolve hormone imbalance. She holds clinics every Saturday at the Allison Jeffery Skin Health Clinic in Brighton diagnosing, treating, monitoring and adjusting hormone levels to restore health and well being. is a bespoke and natural solution to hormone issues uniquely tailored to your needs. When hormone levels drop or become unbalanced BHRT can be used to treat men and women to ease symptoms of perimenopause and menopause as well as helping immune function, mood, libido digestion, weight gain, insomnia and many other symptoms. It is estimated that 1 in 3 women have a hormone imbalance. As hormones regulate every function within the body a hormonal imbalance can cause PMS, menopausal symptoms, blood sugar fluctuations, fatigue, mood swings and depression. The aim of BHRT is to restore balance and maintain optimal hormone levels. Natural bioidentical hormone replacement therapy is an increasingly popular alternative to traditional (synthetic) hormone replacement therapy. BHRT is safer because it is both natural and identical in makeup to the hormones the body produces naturally. What conditions benefit from BHRT for Women? What conditions benefit from BHRT for Men?